There are some things you should never, ever do. These include putting metal in the microwave, sneaking up on a grizzly bear and slapping its bum, and giving someone on the autism spectrum vague instructions. It’s too often assumed that we are “slow” or “stupid” when what seems like simple instructions leave us befuddled. Take for example, “can you pop down to the shop and buy some milk?” Sounds straightforward enough, right? But what particular brand of milk did you have in mind? Do you want full fat or low fat? The 3 litre bottle or the 2 litre bottle? Should we get the one that’s on special? Or how about “meet me on the corner of x street and y street”? If it’s a + intersection, there are four corners, which is the correct one? There’s an interesting parallel with nature; a very common tactic among prey animals, from fish to zebras to birds, is to flock (basically, to move as a coordinated group) when under attack. The reason for this is that if you present a predator with too many moving targets, whether it be a lion, a shark, or a falcon, they often become confused, and don’t catch any of them. 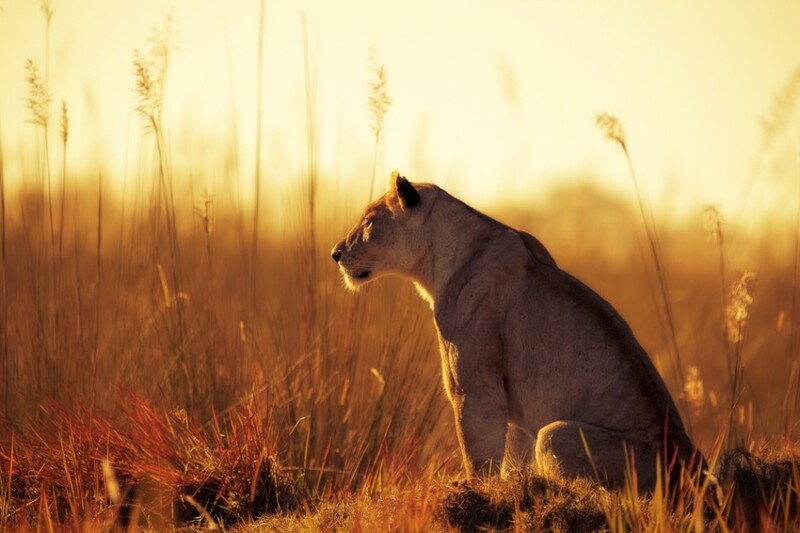 The autistic mind, like that of a hunting lioness, can be very specific and intensely focused. It’s not that the lioness is a poor hunter, but rather that she’s sometimes presented with too many options and without the necessary criteria to narrow the selection. On the other hand, if there is a slow animal in the herd, she has a clear target. Likewise, give someone on the spectrum a clearly defined task, and they’re far more likely to excel at it than if you give them a nebulous idea of what’s expected of them. So, if you’re on the spectrum and you find yourself stumped by unclear instructions, remember; you’re not slow, you’re not clueless. You’re a lion. Three years ago, my Nana, who has cancer, was told by her doctors that she would be lucky if she made it to Christmas 2012. She’s still alive today. Actually, “alive” is an understatement. She’s bursting with so much positivity and enthusiasm she’s like the human equivalent of a sparkler bomb. (Come on, who among us never shaved the fizzly coating off a bunch of sparklers into an ice cream tub and set on fire at least once?) Seriously though, it’s like she’s in her 30s rather than her 70s. This lady’s going on overseas trips, seeing the latest movies… oh, that’s the other thing, she’s always been incredibly “cool” and “with it”; how many people over 70 are regular Facebook users? She’s been like this as long as I can remember; full of life, hip, and endlessly loving. Not even cancer or chemo were able to get her down; it’s like everything negative just withers in the light of her positive energy. When I’m in my 70s, I wanna be like my Nana. I can’t think of anyone else I know who so exemplifies the notion of living life to the fullest. Love ya, Nan. Stay Groovy. If your autistic son or daughter loathes certain clothes or food, it may not be the colour or the taste that’s bothering them. For instance, you know what really gets my goanna? Avacado. Bananas too. Can’t stand ’em. It’s not the taste so much, it’s the texture. They’re slimy, and it makes my skin crawl. Sensory issues can be one of the biggest challenges of living on the autism spectrum. Wearing clothes that feel too coarse, or even too soft, or eating something that feels slimy or dry, can be like having a barrel of centipedes poured over you. I actually heard of one kid on the spectrum who would sleep on the floor, hit herself, and even beg her parents to hit her as hard as they could, because to her being touched softly was unbearable. What can exacerbate the problem is that the sufferer may have trouble communicating just how torturous it is. They may say “I hate bananas/that shirt”, but the lack of a common frame of reference can lead a non-autistic parent or friend to assume this is a mild strain of dislike, the way we might say we “hate” man buns or Mondays. Kids on the spectrum also may not yet realize that people off the spectrum don’t experience the world the same way they do, so they expect the non-autistic listener to instinctively understand the agony that can come from heightened sensory sensitivity. It wasn’t until I was an adult that I was able to explain to my mother that while I loved going to the beach, the feeling of sand sticking to my wet skin afterwards drove me batcrap crazy, or that having cold vegetables and hot meat in the same meal made me want to Falcon Punch an antique vase worth more than our house. When someone on the spectrum seems insistently opposed to something that seems harmless, don’t write it off as them being fussy or pedantic; it may seem harmless to you, but to them it could be incredibly uncomfortable. There are a lot of things I’d rather do than use a public toilet. Like hug a cactus, then take a lemon juice bath while listening to a mixtape of Justin Beiber, nails on a chalkboard, and a baby crying. Or swallow a live sea urchin, that sounds about as fun. When you have OCD centered around a fear of contamination, they’re torture; every surface, every other occupant, even the air you breathe feels electrified. It’s like if you were an arachnophobe, and every inch of the building’s interior is crawling with spiders. The walls seem to close in around you, and you can almost feel microscopic particles in the air sticking to you, polluting your clothes, your skin, your hair, your lungs. Even once I leave I feel like I’m carrying germs back home with me, which will spread the terror to what is usually a safe haven. Ask any Zelda fan; water dungeons are the worst. Naturally, I put a lot of thought, planning, and often discomfort into avoiding this ordeal. Fluid management is absolutely critical. I make a point of not drinking anything for two hours or so before I go out, (and emptying my bladder right before leaving) and while I am out, I have to carefully manage my liquid intake. Sometimes even these measures are not enough, and it becomes a matter of uncomfortably “holding it” until I get home. Back when I was 17-19 and my OCD was in full force, even the one in my house was a terrifying menace, and only after years of fighting back my disorder did it become more manageable. Make no mistake; this is a phobia I intend to someday vanquish. After all, five years ago using public transport daily seemed an insurmountable obstacle, but now I do it with ease. Maybe in another five years I’ll look back and wonder why I ever made such a fuss about something so mundane as a public dunny. As residents of the futuristic world of 2015, (where’s my hoverboard dammit) I’m sure most of us can relate to feeling a bit of withdrawal when stripped of the technology we’ve become almost cybernetically dependent on. For those of us on the spectrum, this feeling can be greatly amplified, as our computers, phones, and video games can be coping mechanisms; temporary refuges from a world of often unbearable sensory stimuli. Last week, my laptop of 4 years, which was always a shoddy, pain-in-the-gluteus-maximus potatocake, decided to have the computer equivalent of an aneurysm. I’d seen the warning signs coming for a while, but I kept putting it off taking it to the shop for repairs, because I knew it would probably take several days, and I didn’t think I could cope for that long without it. Left with no choice, however, I reluctantly handed it over, and braced myself for a grueling digital detox. And you know what? It wasn’t actually that bad, because weeks of dreading it had built it up to the point where the thought was scarier than the thing itself. The trick is to find alternative coping strategies. For example, I went old school and used pen and paper at my work desk in place of my laptop. In addition to still being able to get work done, thus alleviated the stress I felt at falling behind on my deadlines, I found that scribbling notes and drawings based on my special interests was actually a great substitute for exploring these topics online. Books were another helpful lifeline; I usually read on the train anyway, but doing so at home as well helped satisfy that hunger for information the internet normally fulfills. Change, particularly the removal of coping tools for an indeterminate amount of time, can be a terrifying prospect to people on the spectrum, but discomfort can be minimized by planning ahead and having backup strategies in place.